수영강변에 새롭게 문을 연 갤러리이배가 첫 전시로 이승희 작가의작품을 준비했다. 도자기를 평면 회화로 선보이며 현대미술의 새로운 패러다임을 구축한 작가로, 이번 전시에서는 'TAO(도,道)' 시리즈의 신작 30여 점을 소개한다. 동야적 아름다움과 세련미로 세계인을 매료시킨 작품을 가까이에서 감상할 수 있는 좋은 기회다. 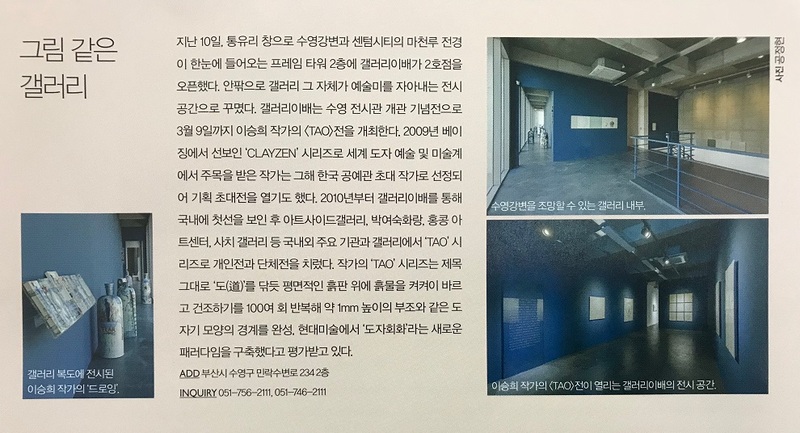 "Tao" Presenting the first exhibition at the new location in the Suyeong Riverside, the Gallery Lee&Bae introduces Seunghee Lee. 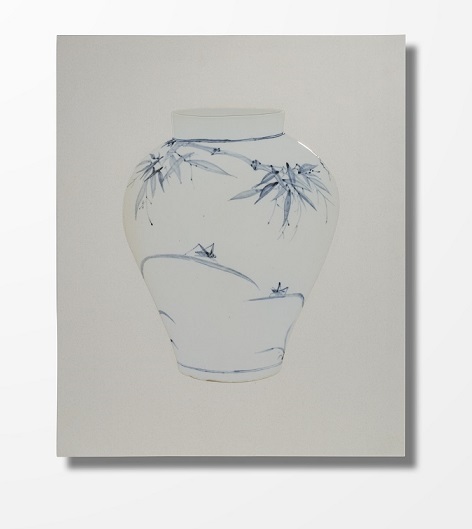 Lee has established a new paradigm in contemporary art by portraying pottery into a painting. The exhibition introduces his latest 30 pieces. It is a good chance to find his artworks of oriental aesthetics and refinedness, which has already fascinated the world.